Justice Andromache Karakatsanis of the Supreme Court of Canada will speak on "Developing a Passion for the Law: From Law School to the Supreme Court of Canada." The talk is presented by Western Law’s Distinguished Speakers Series. 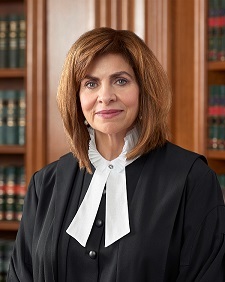 Justice Andromache Karakatsanis was appointed to the Supreme Court of Canada in October 2011. She had been appointed a judge of the Court of Appeal for Ontario in March 2010 and a judge of the Ontario Superior Court of Justice in December 2002. Justice Karakatsanis is a graduate of the University of Toronto and Osgoode Hall Law School. Following her call to the Bar in 1982, Andromache Karakatsanis served as a law clerk to the Ontario Court of Appeal. 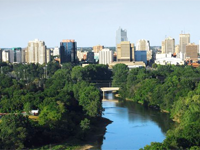 In private practice, she practised criminal, civil and family litigation in Toronto for several years. She then served in the Ontario Public Service for 15 years in a number of senior positions. During her career in public service, Andromache Karakatsanis served as Chair and Chief Executive Officer of the Liquor Licence Board of Ontario (1988-95); as Assistant Deputy Attorney General and Secretary for Native Affairs (1995-97); and as Deputy Attorney General (1997-2000). Andromache Karakatsanis served as Ontario's Secretary of the Cabinet and Clerk of the Executive Council from July 2000 to November 2002. As the province's senior public servant, she provided leadership to the Ontario Public Service and to the deputy ministers. While in the public service, Justice Karakatsanis was actively involved in issues related to education and reform in the field of administrative justice. She was a recipient of the Society of Ontario Adjudicators and Regulators (SOAR) Medal in 1996 for outstanding service to Ontario's administrative justice system. Justice Karakatsanis volunteered extensively with the YMCA of Greater Toronto from 1990 to 2002 and held a number of senior positions, including that of Chair of the Board of Directors. She also served as a member of the Board of the Public Policy Forum and of Canadian Policy and Research Networks (CPRN).